Before Jennifer Chadwick had even enrolled at UCC, she was a successful entrepreneur in her own right. In 2013, the second year Business and Law student appeared on the Dragon’s Den as a director of Focail Iontacha, subsequently, Cork Cares a social enterprise, and joined Limerick medical software company, Pinpoint Innovations, during its start-up stage. If that wasn’t enough, in 2015 Jennifer became Ireland’s first ever representative at the Global Student Entrepreneurship Awards and the youngest participant in the competition's history. Nevertheless, despite her prodigious CV, a career in business or entrepreneurship didn’t seem on the cards for Jennifer, who first enrolled as a Pharmacy student at UCC in 2015. However, after her brief sojourn into the world of medicine, Jennifer transferred to Business and Law, where she became Chairperson of the Entrepreneurial and Social Society and recipient of a Quercus Scholarships for innovation/entrepreneurship. Jennifer immediately immersed herself into the culture of the Quercus Talented Students' Programme, contributing and leading efforts to promote innovation and entrepreneurship on campus. 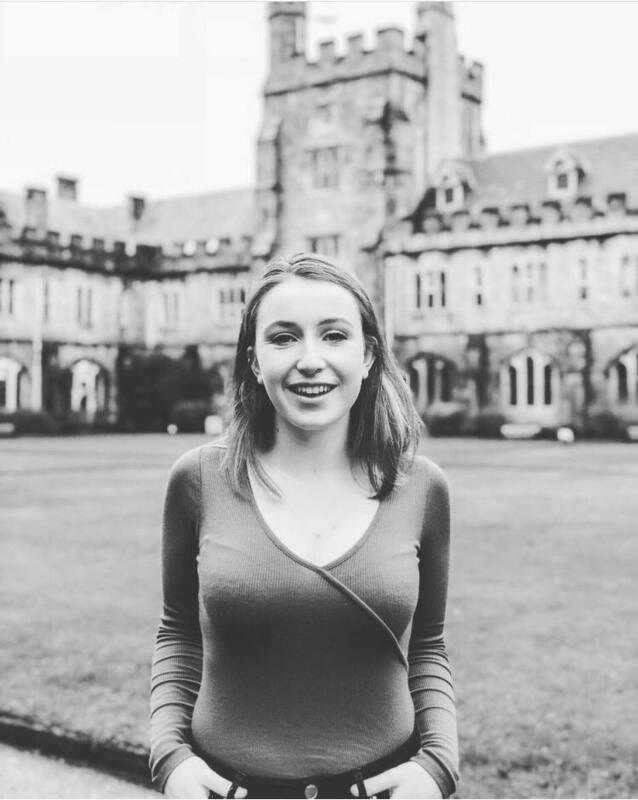 Acting as an ambassador for UCC, Jennifer established the UCC Entrepreneur of the Year Awards and began working with Enterprise Ireland and the Local Enterprise Office to curate programmes promoting entrepreneurship to second level students. As Chairperson of the Entrepreneurial and Social Society, Jennifer played a leading role in organising numerous workshops across campus where students from any discipline could learn from experienced entrepreneurs. However, the Quercus Scholarship holder was eager to broaden the E&S Society’s scope of activities and not confine it to promoting entrepreneurship on campus. After a great deal of taught and no little planning, E&S society members hatched a plan to stage a Startup Weekend in 2017 at the innovation hub that is Republic of Work to appeal with a wider network of entrepreneurs. Working in conjunction with Bank of Ireland, the Commerce Society and Republic of Work, The Startup Weekend saw some of Ireland’s leading entrepreneurs share their experiences with participants who travelled from throughout Ireland to attend. The E&S Society’s ambition and determination to stage the event at an off-campus location was rewarded. Not only did the number of attendees triple to over 100 people, but the average age of those who took part increased from 22 to 28. As a result, plans are already in place for another Start Up Weekend in 2019. Now the incoming Business and Law representative on UCC Students’ Union, Jennifer anticipates using the position to further promote entrepreneurship at UCC by helping break down barriers to participation. Already, she has assisted three students (two from UCC) compete at the Global Student Entrepreneurship Awards and hopes to support others to do the same. Before that though, Jennifer has been taking part in the Washington Ireland Program, where she has participated in a program of personal development, policy debate and community service. As part of the programme, previous students have benefitted from placements with US Senators on Capitol Hill or gained experience with US Government Agencies such as the Library of Congress and Environmental Protection Agency. Media outlets such as ABC, CNN, and C-SPAN have also hosted students in the past, as have non-profits such as Habitat for Humanity, higher education institutions such as the Georgetown Lombardi Center, multinationals like Eli Lily and Zurich and diplomatic missions such as the Embassy of Ireland and the Northern Ireland Bureau. The Washington Ireland Programme and the Quercus Talented Students' Programme have provided Jennifer with the opportunity to develop skills and connections she might not have been able to access otherwise. The unique environment fostered by the Quercus Scholarship has also allowed Jennifer to engage with students from other schools and disciplines at UCC while pursuing her passion to nurture and promote entrepreneurship. After completing her second year of the Scholarship, Jennifer remains hugely grateful to Programme Manager Michèle Power and Professor John O'Halloran, Deputy President and Registrar at University College Cork and Director of the Quercus Programme for providing such a unique opportunity.